We anticipate oopses, typos, and maybe an occasional LMAO in the new scriptures. We did our best to clean them, but we're human. We need your help in finding the problems before we produce the expensive, leather-bound versions. Please send emails ONLY to restorationscriptures2017@gmail.com. DO NOT send notices using the contact form on scriptures.info. CRITICAL: Please include the word "correction" in the subject line of your email as that will route the email directly to the folder for that purpose and save us valuable time. This effort will continue for at least 6 months from the publishing of TEACHINGS AND COMMANDMENTS so that many will have a chance to read all of the scriptures and report flaws. We appreciate the help you all can offer. Once we are ready to print the expensive versions, the Amazon versions, PDFs, apps, and ebooks will also be updated. 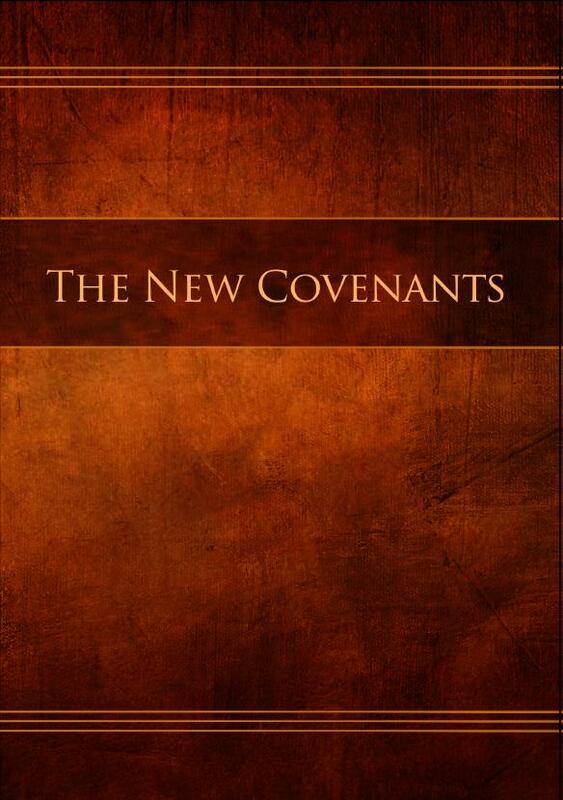 THE NEW COVENANTS (The New Testament and Book of Mormon) is now available for purchase on Amazon! The other volumes will hopefully be completed by the conference in March in Phoenix. THE OLD COVENANTS (Vol. 1) will be done first, shortly followed by TEACHINGS AND COMMANDMENTS (Vol. 3). In the meantime, the Preview editions of those volumes will remain available on Amazon. You can also download the PDF now from the SCRIPTURES box on the right. 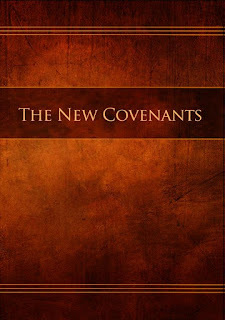 We expect that the updated version of THE NEW COVENANTS (Vol. 2) will be available on www.scriptures.info within the next week. The iPhone app for the scriptures is already available with older versions of the scriptures, but will have THE NEW COVENANTS about a week after it appears on scriptures.info. The Android app needs to be developed. We need anyone interested/skilled in developing such an app to contact us ASAP so we can get that effort coordinated. There are lots of us waiting and anxious for it. Because we understand that the italicized part is incorrect and should read, ...this day have I begotten you., should that be changed/corrected? It is pretty significant. But I also want to respect our mandate. Denver: Unfortunately, I think we leave it alone, even though we know it is NOT correct. "You are my Son, this day I have begotten you"
Neither of them is supportable by any surviving version of the New Testament text. But it is in fact what the original written record upon which the New Testament was based once read. Many have time off from jobs and other responsibilities and are using the time to deal with topics such as the Guide and Standard or the scriptures project. We appreciate everyone's commitment to improving on what the Lord has given us and will give it our full attention - after a holiday. We respectfully ask that you not send correspondence to the scriptures committee for the next 2 days (Thursday & Friday). We've received a number of texts and emails, but would like to focus on family and friends. The scripture committee has a responsibility to remain neutral in the Guide and Standard struggle. To maintain a distance from the work and discussions surrounding that effort, we have created a separate blog called guideandstandard.blogspot.com, rather than maintain the original arrangement of all-in-one. We hope that this will become a fruitful endeavor and that we all learn to respectfully disagree and to become of one heart. "Most importantly, they are never based on a misunderstanding. On the contrary, the disagreements arise from perfect comprehension; from having chewed over the ideas of your intellectual opponent so thoroughly that you can properly spit them out. "In other words, to disagree well you must first understand well. You have to read deeply, listen carefully, watch closely. You need to grant your adversary moral respect; give him the intellectual benefit of the doubt; have sympathy for his motives and participate empathically with his line of reasoning. And you need to allow for the possibility that you might yet be persuaded of what he has to say." If you have a proposal you want posted for discussion, please send it to restorationscriptures2017@gmail.com in Word form, not PDF. That will allow us to post it quickly and not have to spend an hour reformatting it. We will not change anything in the document. It will first be read by someone on the committee to ensure that it is in no way offensive or obscene. If it is not presented respectfully, it will be returned to the author for revision. Commenting is open on the blog, so anyone wishing to offer rebuttals can use the comments for such. We will not accept/post rebuttal documents. Please be quick and clear to report any abusive/inappropriate language in the comments. We are not currently moderating the comments and rely on those offering comments to be respectful. Any comments that are deemed necessary to be removed may result in the offending author being barred from posting comments in the future. There is a misunderstanding that Jeff Savage's independent participation with Adrian Larsen in a Guide & Standard effort means that he has been released from the committee. This is not the case. Jeff is a fully participating member of the scripture committee. Unless otherwise stated by the committee member, participation in efforts outside of the scripture committee's work does not represent approval or support of the committee. It is simply individual exercise of agency. As stated in one of our last updates, this committee can neither encourage nor deny any person or group from proposing or pursuing efforts to produce a statement of principles that meets the Lord's requirements and obtains mutual agreement so that it can be added to our scriptures. Though scriptures.info was established with the objective of it becoming an online repository and research tool for the scriptures, it has also provided one G&S effort with a platform for attention. It was determined that the discussion about the G&S was not part of the original objective for the scriptures.info site and therefore the discussion should be taken up elsewhere. Because hosting the discussion was cut short, and resulted in the exclusion of other proposals by that site, it has been assumed that the scripture committee favors the one effort over all others. That is not the case. We believe that every effort should be given an equal opportunity to be heard and considered. Therefore, this blog will act as such a platform. This frees scriptures.info to again focus exclusively on providing access to and research tools for studying the scriptures. Our decision to offer a voice for other proposals is due in part to the Lord's direction in the Answer: "...my will is to have you love one another. As people you lack the ability to respectfully disagree among one another. You are as Paul and Peter whose disagreements resulted in jarring and sharp contentions. Nevertheless they both loved me and I loved them. You must do better." Offering others an equal opportunity to reach the greater assembly with their proposals, even when they include personal opinion, answers the requirement of the Lord that we learn to respectfully disagree. There is no single arena that offers the assembly this opportunity, only outlying Facebook groups and blogs that attract limited attention. Our blog will meet the need for a unified locale where we, as a people, can practice and learn to respectfully disagree. We will publish guidelines for adding G&S proposals in an upcoming post. Though Jeff Savage is involved in one of the G&S efforts, his participation in that effort is independent of the scripture committee. We have updated nearly all the archaic language in the Bible and have many volunteers working on basic formatting, grammar correction and punctuation. It will still be several weeks before we get all the books far enough along that they can all be formatted in their respective volumes and then be sent out for final proofreading. We want to thank all those who are sacrificing their time and energy to help with this effort. If we keep up our current pace, we hope to have most or all of the proofreading done by Thanksgiving. If that happens, we can have sets available on Amazon for Christmas. We also have initiated the production of audio books of the scriptures. Two individuals with background in audiobooks have begun preparations to produce them and will manage that effort. Because the text of the Book of Mormon is essentially done, they are starting there. It will take a long time to accomplish, so it was considered important to get the ball rolling now. Why we didn't set up a blog before now... Anyway, welcome to this new platform for communicating about the efforts to publish, maintain and expand the Restoration Edition of the scriptures. New posts here will replace the updates we used to post on scriptures.info. And all previous updates have been combined into a single post here. Some continue to use the Contact form on scriptures.info to communicate with the committee. That becomes a pain for the webmaster because he has to forward those to restorationscriptures2017@gmail.com. Please use ONLY that gmail address to communicate with the committee. We continue to get help in the form of people pointing out typos, etc. in the online scriptures. The scriptures currently on scriptures.info are early iterations and not the current versions. We will announce when all of the scriptures are updated. In the meantime, we will make PDFs of the most recent updates available for download on this site. Once the final versions are publishable, all versions will be available on scriptures.info and downloadable versions will likely be removed from this site. Between now and the publication of the scriptures, please only make note of typos found in the PDFs from this site (which we will make available in the next couple of days). The effort to get all the archaic language changes done pre-Boise is just not going to happen. There are simply too many replacements left to do, even with volunteers. Realistically, there are about 6000+ changes that still have to be made. So instead, we are going to publish the lists of words and their modern counterparts so that you can see what is targeted and not targeted for change. We still hope to produce PDFs of the Teachings and Commandments, and The Book of Mormon, leaving the JST to complete. We have already had the work preapproved in the Answer to the Prayer for Covenant, provided we stick to our agreed upon plan. That restricts us to making changes using the list we are providing and then dealing with grammatical corrections and formatting. There may be a word or two that is discovered and added to the lists, as well as some nuances, like past/present tenses that may not all be accounted for, but we expect very few. The lists are posted and the PDFs of the two works will be put up as soon as the final proofreader corrections have been made – hopefully in a day or so. In addition to the Book of Mormon and Teachings and Commandments, we’ve posted a PDF of the JST that was completed prior to beginning work on the archaic language. We thought this would be of interest to many. We’d like to thank all the volunteers who have helped up to this point and are grateful there are those willing to help out. A lot of typos and errors have been caught. If you find any in the upcoming Book of Mormon or Teachings and Commandments PDFs, feel free to email them to us. Until they go to print late this year, typos and errors can be corrected. We’re working hard to get enough material out to everyone before the Boise conference so that the content can be previewed prior to events taking place. This doesn’t give much time for review, but we’ve been lucky to get this far and feel it is critical that you have a chance to see what has been done. The Book of Mormon and Teachings and Commandments will be in near print-ready condition. Work still needs to be done on scriptural references found in the T&C, but that can’t be accomplished until the Bible is completed. The JST Bible will be provided in 2 versions so you can see what this work has entailed. One is a copy that has all the corrections made by Joseph Smith, but without archaic language updates. This copy will not be divided into paragraphs as this is not the version intended for print. A second copy with the archaic language changes will also be made available. It likewise needs to be formatted and re-punctuated However, that version will have significant gramma1tical errors that also will need to be found and fixed because of language updates. We simply haven’t had enough time to accomplish them pre-Boise. "What meaneth then this bleating of the sheep in mine ears" doesn't update properly as "What means then this bleating of the sheep in my ears". The primary archaic verb (meaneth/means) following the initial word of inquiry (what) needs to be moved, generally to the end of a clause, and may require an additional word such as does, do, is, are, etc. "What then does this bleating of the sheep in my ears mean?" Imperatives structured as VERB-NOUN-ADJ, such as "Be thou clothed", will generally need to be rearranged conceptually to NOUN-VERB-ADJ to fit English grammar, "You be clothed". In most cases, "thou" can be dropped if included in an imperative, meaning "Be thou clothed" can become "be clothed". Exceptions would be instances where a comparison between "thou" and another party is taking place, in which case converting "thou" to "you" and keeping it would be appropriate. "We are enlarged in heart toward you; you be enlarged in heart also". As you can see, we have to find where these problems arise and then address the structure of the sentence. That will take a lot more work. And then there’s thou, thine, thy, thee, mine, and over a thousand vocabulary words. Even with the dozens of volunteers helping out, it will take a lot of time. When you read through the JST text, there will still be archaic words that have not been changed. We determined that there are nearly 300 that cannot be easily updated without changing meaning, so they have been left alone. The JST will not be in a comfortable form by next week. But we want the content to be made available right away – Wednesday is our target date. Cross your fingers and keep your eyes peeled on scriptures.info. We will label the PDFs accordingly. It is with a sad heart that we announce the departure of Kaai Lincoln from the scriptures committee. We will miss his participation. "Pray together in humility and together meekly present your dispute to me, and if you are contrite before me I will tell you my part." We believe that the Lord can guide our thoughts and help us come to a peaceful resolution of this labor. All are invited to attend. The location will be Esther Simplot Park - 625 N Whitewater Park Blvd, Boise. Because the final meeting of the Guide and Standard group provided an open invitation to any and all people to participate, those not participating did so voluntarily and by default, accepted the work of those participating. That openness was done to meet the requirement given by the Lord that it be written by the people. It is not the place of the scriptures committee to govern. This general assembly is a body of equals. There are efforts underway to develop an alternate statement of principles. Our committee does not claim any authority to permit or deny any such effort. Just as anyone can call a conference, so any group can undertake an endeavor that impacts many fellowships. That endeavor owns the responsibility to persuade the general assembly to accept that effort. This committee is willing to offer any reasonable help. It is clear from feedback that the current version of the Guide and Standard is not perfect. It can probably be improved. The Governing Principles group gave Jeff Savage authority over wording in the document. Those who feel strongly that the Guide and Standard language should be reworked will be invited to meet in Boise for a discussion of that effort. ERRORS? YOU SAY THERE ARE ERRORS IN THE GUIDE AND STANDARD? -Chris Hamill is responsible for the sharp tone of this post. Actually, that’s all that anyone has said. No one has had the charity or integrity to point out what such errors might be or how to fix them. It’s like people running around yelling, “Fire!”, but not pointing to the fire, nor picking up a bucket to get water and put it out. We say that we are to use persuasion, long-suffering, gentleness, meekness and love unfeigned, but don’t act that way. To put it in the Lord’s words: ...you have not yet become what you must be to live together in peace...Even a single soul who stirs up the hearts of others to anger can destroy the peace of all my people. Each of you must equally walk truly in my path, not only to profess, but to do as you profess. There are those who claim they will support the outcome of the work done to produce the Guide and Standard, but once it was out, they’ve done nothing but condemn it. No explanations, only generalizations, not suggestions for fixing the problems they claim to see, except to offer blanket replacements rather than corrections. That isn’t charitable. That isn’t helping your fellow man. That isn’t honest. We need to all take a good hard look inward before we point at problems created by others. The specific error or false statement. WHY it is an error or false statement (without the WHY it is just your opinion). Recommend a solution to that specific error or false statement. (without the recommendation, you’re just complaining and not being constructive). If it is demonstrated that there are indeed error(s)/false statement(s) in the Guide and Standard, not just differences of opinion or perspective, then they do need to be corrected. The voting on the problem document will then be halted and the problems fixed. The vote will be run over again, this time for the corrected document. In the last update, we shared the adjustments in 2 Corinthians 6:11-13 as an example for people to look at. Unfortunately, we did not communicate clearly that this was not an example of the typical kind of updating taking place to the biblical language. It was an example of the more difficult, more problematic things we’ve come across in the process of updating archaic terms. There have been some instances, only a few, where an archaic word we are looking at updating is nested within a greater bungled translation, and the passage becomes incomprehensible with the appropriate word update. In these few instances, the poor translation has been examined to see if minor corrections can clarify the passage sufficiently to work with the updated archaic term. 2 Corinthians 6:11-13 is an example where we’ve been able to do this. In all such cases, we’ve tried to keep the language adjustments as conservative as possible, even if a full rewrite could make the passage entirely clear. If you examine the example passage we sent out, you should notice that the punctuation actually changes the understanding more than any of the word updates. The period at the end of verse 11 becoming a comma, for example. We feel this does not “change meaning”, as the Lord has warned us not to do. In all such cases, the meaning of the original language is not in a clear alignment with the meaning of the KJV translation. So in honoring the “meaning”, we can choose only one to honor. We’ve chosen to try and honor the meaning of the Greek and Hebrew texts, so far as they are available in our present day, unless they reveal themselves corrupt. Our other choice would be to discard those meanings in favor of the interpretations of the KJV scribes, who saw fit to skew their translations to fit false and corrupt doctrines, changing even the name of Jacob, son of Zebedee, to “James”, merely to honor the King under whose edict they were working. In some other instances, we’ve had no choice but to leave alone passages that are muddied beyond repair, or note them so we can petition the Lord for clarification. This is all in accordance with what He told us in his answer to our petition about the scriptures. Please consider this: we were given the Answer to our petition about the scriptures after the work of recovering Joseph’s translation of the Bible. Referring to it, the Lord tells us it still has “errors throughout, and contain things that are not of me, because the records you used in your labors have not been maintained nor guarded against the cunning plans of false brethren who have been deceived by Satan.” Joseph did not “fix” the Bible. He engaged in an effort to correct and improve problems, but did not render a fully correct, clear, or true Biblical text. Many errors are still present, and neither Joseph nor us could fix every issue. But we aren’t expected to. We are trying to work with the Lord to render something He can work with as a starting point, to build off as He begins unfolding more revelation to teach His people. We have a final statement of principles!!! It is now called Guide and Standard. The extended group met Saturday evening and completed the work in 5 hours. Reports are that it went better than anticipated, there was unanimity and no final objections. A PDF of the final document is posted on this site, titled GUIDE AND STANDARD. A heartfelt thanks to all those who have labored and sacrificed to produce this work. There will be a second version of the Guide and Standard made available later in the year that will be annotated, indicating where each piece and portion of the work came from. This version will not be in the published scriptures, but will be made available on scriptures.info for anyone interested. A simple up / down vote will begin on Tuesday and run through Saturday. This will deal with the acceptance of the final statement for inclusion in the scriptures. We feel it important for everyone to understand that no part of the entire scriptures project belongs to or has been exclusively handled by a single individual. Every book of every work of all 3 volumes, by the end of this project, will have been reviewed and critiqued by at least 7 people. This provides a greater chance of uniformity within the work, prevents manipulation by any individual, and involves many in the work, not a select few. Pass 1: Changing problematic archaic language and improper punctuation, moving it all into a paragraph. O ye Corinthians, our mouth is open unto you; our heart is enlarged, not restrained, within us. But ye are restrained in your affections. Now in return for the same (I speak as unto children) be ye also enlarged in heart. Pass 2: Incorporating updated archaic pronouns and suffixes as well. O you Corinthians, our mouth is open unto you; our heart is enlarged, not restrained, within us. But you are restrained in your affections. Now in return for the same (I speak as unto children) you be enlarged in heart also. This set of verses took many hours to work through. This is the type of work that is being accomplished within the JST. The result of the next vote (to decide which of the 2 highest ranked GP versions will become the base text for a final GP draft) will begin tomorrow and go through Thursday. It’s important to understand that this second vote is only to select a base text, while the 6 other versions of GP will be available to the GP group to use as resources. This vote is a simple way for the greater assembly to say, “Of all the versions available, this is the sample closest to what we want.” You will again be able to comment on what you want to see included/excluded from the different versions to help the GP group accomplish the work. The final draft of Governing Principles will be put up for a simple UP/DOWN acceptance vote in the coming weeks. The same VOTE button on scriptures.info will be used for this next round. The Lord has asked that we, as a people, adopt a set of principles by mutual agreement. If your fellowship did not send representatives to the prior meetings, but would like to participate, please send an email by Wednesday to restorationscriptures2017@gmail.com. That group is planning to meet the afternoon of Saturday, Aug. 5th in Salt Lake City (and perhaps on Sunday) to finalize the base document voted on by the body, taking all of the documents and comments from the voting into consideration. We ask that, if possible, the representatives be a husband and wife. If this is not possible, then please send both a male and female participant. This is a light thing that the Lord has asked of us, and yet is has led to corrosive interactions among ourselves. Please check your heart before coming to the meeting, as unity in heart is key to following the Lord's command. When there are disagreements, rather than invoke a spiritual prompting as a trump card, we will follow the Lord's counsel: "Pray together in humility and together meekly present your dispute before me, and if you are contrite before me I will tell you my part." We first want to reiterate that the objective of this undertaking has never been to produce a set of scriptures that the greater assembly wants. The objective that has driven this committee is to produce a set of scriptures that perhaps the Lord would approve of. The condition that they have existed in for decades has been unacceptable to Him. And what was originally envisioned for this project keeps changing due to additional insights, assignments and permissions received from Him. Hopefully everyone had read the prayer Denver received [I think this piece of information is critical] which we have intended to offer the Lord. We, as a committee, are taking a critical look at ourselves in light of what it says. JS proverb - "as finest steel"
JS proverb - "to be a great man"
One additional note: Once your vote is complete, that’s it. We will not be accepting emails requesting that we change votes, even if there was misunderstanding. We’re doing everything we can to be simple and clear up front. The process continues. A vote will happen later this week. Please take the time to read over each of the 7 versions posted online. In the voting you will be able to rank the versions according to your personal preferences. A second vote will take place next Mon-Wed as a runoff of the two final GP documents. The final “winner” will NOT be the final version, but a base text from which a final Governing Principles document will be developed. Your comments, as well as the other 6 versions, will also be used in developing the final document. As you consider your vote, please keep in mind our need to remain of one heart, even if we can't be of one mind on this issue. The Lord looks on the heart, and if we can't be one on something as small as this, it will be difficult to progress as a people. One question that has been asked several times is why a vote will take place if Denver has asked that we not be required to provide a statement of principles, but the people be left to govern themselves. Until the Lord releases us from producing such a statement for our scriptures, this remains just a request; the requirement must be met without the Lord specifically rescinding it. The entire text has been reviewed against the newest available research and all the needed changes have either been implemented or have been decided on and will be implemented within the next day or so. Then we will send out books to be proofread by all our volunteers. · An Introduction written by Denver Snuffer, Jr. with input from the scriptures committee. More introductory material is yet to be added. · The Joseph Smith History (JSH) - which includes 23 revelations, 18 of which are not found elsewhere in the T&C. · Revelations, letters, minutes, journal entries and sermons chosen from among the 170 sections of the Restoration Edition (RE). Five Joseph Smith revelations (T&C Sections 1-5) are somewhat different from the otherwise duplicate revelation found in the JSH. · Letters, sermons, revelations, journal entries and 3 blog entries from the Submissions List that were included after the recent vote. · Lectures on Faith, now Sections 110-117. · The Book of Abraham, now Sections 152-161. · Pearls of Great Price material has been incorporated as sections of Teachings and Commandments. The Doctrine and Covenants & The Pearls of Great Price – as a separate books – no longer exist. · The petition offered to the Lord, His response and the Covenant, if offered, will be positioned so as to act as an introduction to all material received for our current dispensation. This may renumber some of the final sections. · The Testimony of St. John, now section 186. Unlike the Lectures on Faith and Book of Abraham, which have been divided into sections (one section per lecture/chapter/facsimile), the Testimony of St. John will stay united as a single work and has a single section number assigned to hold its place in the chronological order. It will retain internal chapter numbers. · Governing Principles, slated to become section 187. To the extent feasible, every section is now in chronological order. This arrangement provides greater context to the contents. After learning the rationale for the archaic language of the scriptures given earlier and learning the desire of the Lord on the new set of scriptures, the grammar, vocabulary and language has been corrected where necessary and modernized. Exceptions to the modernization of the archaic language include Joseph’s dedicatory prayer, the Song of Zion in D&C 84 (now T&C 82) and a few quotes from the King James Bible in Joseph’s letters. Many older words have been left intact (eg. Verily, Harken, & Yea). A few lost or erroneously transcribed words have been recovered. Several words mistakenly understood only as abstractions have been capitalized, recognizing their function as proper names (eg. Powers, Wisdom and Glory). One section, never prepared for publication, is being printed in its raw, unedited state. Here’s our JST game plan for the remaining stretch. We are open to adjustment as needed, but this gives an anticipated layout of how to approach our final version of the Bible. - Right now we are finalizing the archaic terms to be updated, and the rules for implementing the updated language into the text. - Once all the term updates are finalized, we will begin implementing the updates into the recovered JST text, while retaining an unaltered duplicate of the full JST recovery. We will finish updating all the archaic language first, before digging into the formatting. - Once language is updated, we first format the content in paragraphs and chapters according to the latest RE version. To do this, we will first use some key find/replace terms to wipe out all verse numbers, and remove all the line breaks for verses. This will leave us with long, single paragraphs for each chapter, which will be far easier to break up into the paragraphs as found in the RE. - As the books are chaptered and paragraphed properly, we will prepare copies for the punctuation volunteers to work in. To do this, the best approach would be to use Word docs and delete all punctuation, leaving that as a blank slate. The volunteers will have three things to guide their punctuating efforts: The latest punctuated RE Preview Bible, a set of guidelines, and the Spirit. Using these, they will introduce punctuation into their Word documents, and the change tracking will flag it all for easy review. - After the initial punctuation pass by the volunteers, we will get the Word docs back with all the punctuation flagged, and we can review their work quickly. We could also implement a wave of volunteer review after the first punctuation pass, nobody reviewing their own work, before we give it our final review. - Capitalization will also need to be discussed at a point. There are things that have capitalization issues in the Bible. Some were introduced by the KJV scribes, and some by the JS scribes. - Then it will be off to Kevin for formatting, and then another round of proofreading will follow Kevin’s work, to catch any final gremlins that will try to sneak their way in. Don't feed them after midnight. We remind those who are interested that through Denver we were given the assignment by the Lord to develop a united statement of principles for the greater assembly, to replace LE Section 20. Jeff Savage was tasked with shepherding that task and has worked hard to try to accomplish it with all those who have been interested in working with him. Representatives from 23 fellowships have contributed. There are now arguments being advanced that no such statement is needed, that they don’t have to be included in the scriptures, or that many versions are just fine since different fellowships may want to govern themselves differently. But the assignment was that a single statement be developed to be put into the scriptures and therefore that is the directive we hope will be accomplished. We were asked if there will be an option to not include anything in the scriptures. Given the above explanation, that isn’t possible. The Lord requires something; we don’t believe a “No thanks” option is welcome or warranted. A vote will take place next week. Every version of Governing Principles that has be produced, either through committee efforts or that has been submitted by someone else, will be included in the vote. We are NOT inviting additional versions as there has been ample time for that to have taken place. But we have at least a half dozen versions that are available in a separate document called VERSIONS OF GOVERNING PRINCIPLES. You can download them from this same site. Please study all the versions in preparation for your participation in the voting. We are working diligently to provide additional information to give more light on the matter. That information will not be ready until early next week. We don’t want to have that come out after a vote and then have folks want to reconsider their votes. So the timing of the vote is contingent on us getting further information out. Once that vote on the entire group of samples is completed (we will use a 4-day window for the voting), the top 2 vote-getters will be put up for a runoff vote soon thereafter. That final document will be used as the basis for constructing a final statement. There will be 2 more steps involved in the process after that, which will be part of the explanation we will provide next week. We listen to what we’re being told, both from the outside and from the Lord. We are doing everything we can to follow the Lord’s counsel to do unto others as we would have others do unto us. We expect to live with the outcome just like everyone else. We hope your patience and understanding will last a bit longer and that what develops over the next few weeks will resolve any remaining concerns and result in a united effort and a united statement to present to the Lord and to guide all future fellowships across the world. The results of the vote are in. The link to the report is provided below. We have no control over what is reported – you get the good, the bad and the ugly. You will be able to read all of the comments made to the committee. You will see a sample of what we read regularly in email and comments. Some of you will note that the total voter count is 778, but the total votes for any item is in the 500s. That is due to around 200 people not completing their voting, for unknown reasons. You may also notice that the total represents only a fraction of those who have been recorded as being rebaptized. Of course voting was not limited to those whose names have been recorded, as we know there are many whose names have not yet been submitted. The voting was limited by devices used (one vote per device) and therefore we have no way of knowing if a single vote represents a couple or a family. However the total number is interpreted, we feel it important to respect the outcome. The second round of voting will involve the acceptance (or not) of Governing Principles and formatting of the text in the scriptures. We will have samples of formatting available by the end of the week. The window for voting will be slightly shorter this time, probably 5 days. There is much less for folks to review before voting. There are many words that no one can clearly convert into modern understanding. What is a crisping pin? Is it like a bobby pin, is it a type of curling iron, or is it a very decorated purse? You will find all of those definitions strongly argued. How can such a word give light to the understanding? And which of us can determine whether sayeth or sayest is present tense or past tense? How is that working in plainness? If you don’t speak King Jamesian tongue in your day to day activities, then King Jamesian wording is not speaking according to your language. You may think that it is somehow the soothing language of the scriptures, but it is not. It is simply an antiquated way to talk. It saps light because it is no longer clear. Therefore some effort is being made to use more clear language relevant to today. Obviously, however, we will be unable to update everything, and therefore the scope of the work will reflect the available time and the limited resources available to us. But we hope to render it at least a modestly improved text. A PDF of the final draft of Governing Principles is available for download on the scriptures.info site. Please take time to read it and pray about it. A vote on adopting the document will take place later in July, along with voting on some scripture formatting decisions. As of this writing, there are over 700 voters participating in the voting! The sad thing is that there are still many this committee is aware of that aren’t voting, thinking they will be happy with whatever the committee produces. But the voting isn’t by the committee and the outcome of the voting is determined by the voice of the assembly, not the committee. We hope that everyone will vote. 1. Read through the SUBMISSIONS LIST that can be found on scriptures.info. Take time to understand what each Addition/Modification is proposing. Each question/voting item will only reference the same item on the Submissions List; it will not explain that item. You will have to be familiar with each. 2. We will put out an update on July 4th that will include a link to the voting site. The process is fairly clean and simple. The site can be reached on any computer or smartphone. a. There is a restriction to one voting session per computer. A smartphone counts as a computer in this case. If your situation is such that someone in the household who wants to vote, but is denied by this restriction, please contact us at restorationscriptures2017@gmail.com to make arrangements. We don’t want anyone to be denied that opportunity. 3. Each person gets one vote on every item. Anyone who tries to vote more than once in an effort to skew the voting will answer to the Lord. He knows what you are doing. 4. There is no need to vote on July 5th. You have up to a week within which to vote, so take the time to study the SUBMISSIONS LIST and become familiar with it. Be aware that there may be a number of last minute additions to the list. In particular, it may take until Tuesday the 4th to complete the updated text for the proposed Governing Principles. I think it is important to continue to emphasize that any decision made by the group or by the greater assembly amount to very little if it is not accepted of the Lord. I'm sure it's part of the learning process the Lord intends, and of coming together with one heart and mind. So although voting is a part of the process that the Lord wants and needs this assembly to work out and demonstrate accountability, ultimately how any of us votes is a moot point if not in alignment with the Lord's will. It's clear that there are individuals and even groups that have varying ideas on how and what that looks like...All that being said, if we encourage individuals, even within families, to vote according to how they are impressed and led of the Lord, then if this people are prepared to receive a covenant, the votes will be a reflection of that preparedness. 6. There will be a second round of voting that will take place approximately 2 weeks later which will deal with the formatting of the scriptures. Samples of possible layouts will be provided through the Updates Newsletter soon. 7. If for any reason an item is not on the SUBMISSIONS LIST that should be there, we will include it in the second round of voting. 8. Once the voting closes, the site will provide a detailed report on the results. A link to see that report will be posted in an Update. The results in this report are generated by the site and cannot be arranged or manipulated by anyone, including the scripture committee. 9. To ensure the most accurate read of the hearts and minds of the assembly, we encourage everyone to vote. Several items of great importance have presented difficulties for the committee. For example, there are serious questions about the authenticity and accuracy of both Section 110 and Section 132. Because of this, and because the Lord has already offered several corrections to the scriptures, we intend to inquire of the Lord to address all these dilemmas, which are beyond human capability to solve and require the word of the Lord to know what should be done. Therefore we are resolved to present these questions to the Lord, having full confidence that He will respond to the inquiry as He has previously given guidance for the project. That is why Sections 110 and 132, along with several other items, are not on the Submissions List and will not require voting. Work on creating the JST Bible in its fullness has been moving along rapidly. The Bible was broken out into several different sections based on the makeup of the JST manuscript material. These include: Genesis, Exodus to Malachi, Matthew, Mark, Luke, and John to Revelation. Two individuals or teams were assigned to each section to create two independent versions of their section, based on the JST material. These two versions of the same section were then compared one with another using computer software to capture any discrepancies. These discrepancies were then reconciled between the two groups. The final version has then been subjected to another review by at least two independent people, checking for accuracy against the manuscripts and the Bible. Any discrepancies from this second review will then be reconciled with the original groups. Currently, most of the books of the Bible are going through the second review process. It is anticipated that the whole Bible with the JST content will be finalized in about two weeks. Efforts have also been underway to compile lists of archaic and alternative spellings of words, with the anticipation of performing a modest update of some of the language found in the King James Bible. This update of the language and spelling of the Bible will begin once the newly created JST Bible is finished. Some of Joseph's translation work on the Bible included updating some of the archaic language found in the Bible and portions of the manuscripts were even systematically updated, but this effort was never finalized. Work has also been ongoing with capturing any changes or alternative translations Joseph wanted made to biblical passages in his sermons. These will be added to the newly created JST Bible. This additional work is anticipated to be completed by the end of July. Efforts on creating a new version of the Bible containing a fullness of the work performed by Joseph began in 2016 and will be finished in 2017. This is exactly 150 years since the first completed attempt at creating a JST Bible in 1866-67 by the RLDS Church. And 200 years since the Smith family moved into the "burned over district" of New York from which, a few years later, sparked by a passage from the Bible, Joseph had his First Vision experience. We feel that the hand of the Lord has been involved in this process. The second review session of the Governing Principles, is still in session as of midnight Sunday night, so the update on that portion of the project will have to show up Monday night (the 3rd). The effort of working page by page through Royal Skousen’s Analysis of Textual Variants in the Book of Mormon (2nd ed.) to identify any errors in the 1840 edition of the Book of Mormon continues. We’re into the 5th of 6 volumes, meaning late into Alma and about ⅔ of the way done. There are a surprising number of corrections that Joseph Smith made to the 1837 and 1840 editions that never made it into print, often being overlooked by the typesetter. Some of those items were caught in later editions, some have never been in published editions of scripture! All will be included in the Restoration Edition. Proofreading of the Book of Mormon can hopefully start in a few weeks. Some problems have been solved with a change in the position of a comma or the change of the placing of a period. To date, the committee members assigned to the D&C and numerous volunteers have gone through every section 3-4 times and have encountered countless questions and have been rewarded with many answers. ● In RE 82 Joseph prays, Oh Lord, when will the time come when Brother William (Phelps), your servant, and myself, behold the day that we may stand together and gaze upon Eternal Wisdom, engraven upon the heavens. Eternal Wisdom has been capitalized as a proper name for our Mother in Heaven. ● In RE 15: And he (Christ) has taken his power on the right hand of his Glory and now reigns in the Heavens. Glory is now capitalized as a name-title for the Father, on whose right hand the Son is exalted. Such literary tools help to reveal greater light that has been hidden in plain sight for nearly 200 years. Sorry we weren’t clear on how voting will work. Both rounds of voting will take place using an online voting site. We will post the link to that site when the time comes. In the meantime, for the first vote (which will take place July 5-11), read the Submissions List to be familiar with what will be voted on. There will be a few more submissions added shortly. The second round of voting (late July) will involve formatting and we will provide samples of formatting styles to consider. Those samples will be available on this site in the next couple of weeks. There are a couple matters which have come into play which we believe are important to share. First, it has been a struggle in a lot of ways to determine what can and should be done in this work on the scriptures. There are concerns that constantly arise, from among all of us, as to what we can and cannot, should and should not, do. It is a constant wrestle for us to carefully discern where we ought to be addressing things as we try to serve the Lord, and everyone, in this work. Sometimes we are wrong, and the Lord sees fit to correct us. In His mercy, the Lord has seen fit to reach out to us and communicate through Denver, confirming and even extending His permission granted to us, to address some things in the scriptures which have shown themselves to be issues. We have an opportunity right now, with this scripture project, to clean up some things which Joseph did not correct or get to address himself. The communication we’ve been given helps alleviate concerns for us about what efforts will be considered appropriate and acceptable in the eyes of the Lord. As part of Joseph’s work with scripture in his day, he made avid, faithful efforts to correct scriptural records, including those which came through him. But he did not complete his work. In 1842, his journal informs us he was still doing revision work on the Book of Mormon, having already published revisions in 1837 and 1840. In 1833 he declared that he had finished correcting the content of the Bible. But all of Joseph’s biblical work was still in a phase of notes and markup; we do not have a printer’s manuscript from Joseph. From examination of his notes, it’s apparent that his focus was on correcting content, with only a little effort shown by his hand to correct things like punctuation, formatting, etc. Those things would have been addressed in a printer’s manuscript, which he never got to create. The 1835 D&C was also riddled with alterations by other men, which have shown themselves in many instances to be doctrinally problematic where Joseph’s earlier text is doctrinally clearer. It is safe and fair, in our minds, to consider that Joseph would have corrected many or all of his revelations as published in the D&C, if he’d been granted both the time and the full awareness of the alteration that took place to those things. He already did so with several of them in the Times and Seasons, during his time as Head Editor. Our focus, our intent, our desire has been to be faithful in restoring Joseph’s work. We have sought to stay true to what he left us, from the beginning. We are still doing so. We believe that it is due to our fidelity to Joseph’s efforts that we have received divine aid and guidance, as well as now receiving permission to address some things which Joseph did not accomplish. As far as our current understanding goes, this permission allows us to clean up punctuation, paragraphing and chaptering (as we’ve already worked on), but extends even one step further than we anticipated. We have also been granted permission to update some of the archaic King Jamesian language into modern English. The language of the KJV has many terms and phrases that are no longer used in English. Some of these are still understood by current students of scripture, but as language evolves, new generations arise, and work is required to learn dying words and phrases before being able to read the scriptures, this points to increasing numbers of people being turned away from the truth of the scriptures simply because the old language makes them seem inaccessible. A careful, modest updating of the archaic language will make the scriptures both more inviting and more comprehensible. The other item for us to talk about is related to accountability and agency. The Lord does not command in all things, or dictate exactly what He wants done in every instance, because He expects us to make choices and bring them to Him, to receive whatever reward we warrant. We are given this latitude precisely to nurture growth and progress along the path of our Prototype. In the process of working on this project, there have been some things the Lord has given to us by His direct word, but many other things He has left to us to work through or sort out, expecting us to bring Him what we have determined to be best, like the brother of Jared with his sixteen stones. The parable of the talents also illustrates this principle, in that the Lord granted the servants talents, but with no direct instruction as to what they must or must not do with them. Each servant did what seemed the most wise to them and returned their fruits to the Lord, being rewarded according to their choices. This is relevant because the Lord has not directly told us to clean up the punctuation, formatting, chaptering or archaic language in the scriptures. What He has given us is permission to do so, and left it to us to determine what we believe we should do. So we have spent time discussing, pondering, and praying about it. In considering what to do, we must acknowledge that there are clear, identifiable problems in the scriptures that are caused by bad punctuation, bad formatting, bad chaptering, and archaic language. These problems have the effect of corrupting or damaging comprehension of what is being taught. So we must acknowledge that a choice to not try to correct these things would be a choice to perpetuate known problems, thereby hindering the understanding of scripture and warranting no more reward than the early saints. Additionally, as Denver’s quote states in our last Update, the King Jamesian language was imposed upon Joseph; it was divinely required of him in the translation of the Book of Mormon. This requirement was given for one reason alone, being the hardness of the people’s hearts. On the other hand, we have not only been given express permission to clean up formatting and update the archaic language, but the Testimony of John was actually given in modern English, rather than the King Jamesian. This was not a determination by Denver, it is how the revelation was given to him. To us, these things appear to evidence that the Lord previously considered maintaining certain traditions to be the best course of action, accommodating the weaknesses of the people in Joseph’s day, whereas it now appears more important, with this people at this time, to focus on improving the comprehensibility of the scriptures as they were given. 1 - Recover, to the very best of our ability, the language that Joseph tried to give us. Every word, every adjustment we can attribute to him, should be restored as accurately as possible. This effort has been underway for quite some time. New discoveries in the Book of Mormon and Joseph Smith Translation have required more work of us, but hopefully it will soon be completed. 2 - Once the content has been restored, we can then update appropriate archaic language. At present, our belief is that we should only update words and phrases that have a PRECISE update into a modern English word or phrase with the exact same meaning, taking no interpretive license. This would include some of those most common archaic words (thee, thou, etc. ), as well as those that are no longer used (to you-ward, wot, etc.). Work is already being done to identify the words and phrases which ought to be replaced, and basic “find and replace” software functions will greatly speed up the work of carefully implementing these replacements. The Book of Mormon will be an exception with the archaic language changes because the task of recovering the original text is such an arduous task, and has required so many hours of effort, that we are inclined to leave it in as original a state as possible. Further, much of the language of the Book of Mormon is not archaic, but a blend between modern English and archaic English, and leaving it in that hybrid state seems wise for at least the present. We anticipate the Book of Mormon version we publish may well be adopted by others from different faith traditions, and therefore we want to make it easier for other "Mormons" to adopt. 3 - With Joseph’s language restored, and some of the archaic language updated, it seems wisest for us to then take the punctuation, paragraphing and chaptering done by so many over the last year in the Restoration Edition Preview, and apply it to the revised text. This will require some discernment and prayer, as the changes to the text will certainly affect punctuation here and there, but we believe the work done by the volunteers on the Restoration Edition has already accomplished 95% of the work. We believe this was an inspired move by the Lord for this precise purpose and implementation. There are also a few instances where Joseph himself sought to address these matters, and which his work will be honored. 4 - As we do all of the above, in a good-faith effort to restore the truth to clarity, we believe that the Lord is pleased to offer corrections to us as we need them in our weakness. This is a different matter than claiming the Lord will not permit leading astray, or any such thing, but acknowledges His goodness in offering correction and guidance to all honest and faithful efforts made by weak and broken souls. The above represents our current understanding, and what we believe is the best course of action. However, we do not want to impose this upon everyone as any sort of executive edict. /this is our view, but there are other views out there, and all should be considered. Therefore, while we intend to pursue work along this course, we will also provide other options for consideration and allow everyone to vote as to what should be brought before the Lord. For example, with the immensity of the effort involved in the Bible work underway, there may be those who do not want the archaic language updated, or do not think we ought to attempt it before bringing the scriptures before the Lord. There may be those who are also unpersuaded concerning the punctuation, paragraphing, and rechaptering. As we move forward, we will save different variations along the way. Once the content alone is recovered, we will save a version of that, to be presented to the body as an option. We could save a version with the archaic language updated, but the old punctuation and versing and chaptering in place, and present that as an option. And we intend to present what we have laid out above as an option. Then all of you can consider the matter for yourselves and vote according to your conscience, and the voice of the body will have the opportunity to determine what version of the scriptures is brought before the Lord. We are willing to accept that the body may not choose the version we feel impressed to pursue. Whatever we bring before the Lord, He can offer us correction if we miss the mark, which we would then implement to hopefully obtain a covenant. I have received many explanations from the Lord to help me to understand what has been done and what needs to be done. One of the things that I have had opened to my understanding is that the translation of the Book of Mormon was done under the inspiration of God to help a hard-hearted people accept it, and therefore it accommodated some of what their prejudices imposed as a condition for them to be willing to even read it while entertaining the possibility that it was from God. If the text had not been rendered in a way to appeal to their hard hearts, they would not have taken it seriously...I have understood that the reason the "King Jamesian" language usage was employed was precisely to make the revelations seem consistent with the familiar language of scripture. PERIOD. It was a way to break down resistance to having something new claiming to be scripture. If it read like what was the gold-standard for God's word, then maybe it WAS God's word. I have often thought it would be possible to render a better modern language version, but have not done anything with that thought. We now face an almost identical issue: If we change the language to become modern, then there are many who are familiar with Mormonism and who may yet be willing to consider the ongoing restoration work as God's work--but who will become offended solely because we alter the language of the Book of Mormon. Their reaction will mirror the reaction of the 1830s because of prejudice and assumptions about the unchangeable "word of God." I have tried to use modern language in anything I have written in order to forge a transition between people's prejudice in favor of arcane language, coming from Joseph's time, into a future when using our own plain language will become commonplace. Thankfully Joseph's history was written in common language and we have that to use in scripture. This isn’t to say that we currently plan on changing the language of the Book of Mormon, as in Denver’s explanation. But it helps us understand why it was used in the Book of Mormon and to see that the Lord is more open to change than many of us are. As recently as yesterday Denver explained that even The Testimony of Saint John was given to him in its more modern language and wasn’t simply done that way on his own volition. We have made many mistakes that have caused us to research and abandon many past efforts. We have had to literally start over several times because an approach proved to be based on a mistake or misunderstanding. The amount of study and research required to get us this far has been humbling to us all. But with the help of heaven and timely discoveries of our mistakes, we have been able to turn and make better and more rapid progress with the new and more correct approach...When we "finish" our work, I believe we will only be close and cannot ever be fully able to recover the text(s). But the labor to get close is a labor of penitence and contrition that must be done. We are proving to the Lord that we are not going to deliberately fail to say and do what He restored in the original Book of Mormon and former commandments. This labor is our sign to God that we are unlike those who were condemned. In His mercy, the Lord then will tell us what further is required. And if there are terrible omissions He can supply that, if He trusts us enough to receive His words. What Joseph left us did not produce Zion. Our efforts should not stop at only what Joseph did (what is that Einstein quote about doing the same thing over and over and expecting a different outcome? ), therefore they are focused on discovering what will invite Zion. We aren’t certain what that looks like, but without a sincere effort to say and do whatever we can uncover, through our research, to be possible, we won’t be any different than the previous failed attempt. There will be 2 rounds of voting, as stated previously. We just want to remind everyone to vote. The first round will focus on the Submissions List - what the greater assembly wants included in the offering to the Lord and what they don’t want. That doesn’t mean that anyone other than the Lord will decide what will ultimately be included/excluded, just that we, as an assembly of believers, are expressing our understanding of His will. The second round, a few weeks later, will focus on formatting - how the pieces will look. We will be providing examples of different styles within the next few weeks so everyone can download/read them and get a feel for each. We want you to see for yourselves. Those examples will likely be the length of a chapter of scripture, not a small snippet. We’d like to offer an observation about voting based on the record of votes taken thus far. Our experience is that there is a silent majority within the assembly who do not vote one way or the other. The only reasonable assumption we can make is that this group is fine with what is occurring in the scriptures project because they have not spoken up to complain. We assume if they were discontent we would hear from them. Our concern is that a silent majority remaining silent instead of voting may result in a vocal minority using their active voting to skew what the vote actually represents. If that is not what you want, then you need to vote rather than remain silent. Voter turnout is crucial to getting an accurate measure of how people stand. Voting also demonstrates honesty with the Lord. Do not be afraid to vote your conscience. To those who choose not to vote, we will assume you are in favor of the project outcome, but we would prefer to have your vote rather than an assumption based on silence. Last Saturday (June 10th), 40 representatives from various fellowships met to discuss and draft a Governing/Guiding Principles document. It was a long meeting, lasting nearly 13 hours. Due to its length, only half of the representatives were able (or willing) to stay for the entire time. Of the 20 that stayed until the end, all felt a significant unity of heart and mind. Of those that had to leave early, roughly 1/3 of them expressed that they were unable to come to a point where they felt at one with the document or process. More effort is required to see what can be done on that issue, but that is how the matter currently stands. Significantly, the entire group agreed that it was not our decision to determine whether the Governing Principles should be placed in scripture, but to let the vote of the body (and the Lord) make that decision. The process of reaching common consent was messy and trying, but very rewarding. The resulting document will be posted for review by the assembly. It is a revision of the original Governing Principles and continues to bear that name. There has been a major development, which began a couple weeks ago, concerning the entirety of the Bible. A few people brought a few different concerns forth, requiring further examination of what’s been done with both the Old and New Testaments. In short, these concerns and the resulting investigation have convinced us that we need to essentially start over on the Bible. For one, we made assumptions concerning the faithfulness of the rendering of the Inspired Version that turn out to be entirely incorrect. When the RLDS church put forth their first edition of the Inspired Version in the mid-1860s, they made further alterations to the biblical text, above and beyond what Joseph revised. They also failed to acknowledge and publish hundreds and hundreds of edits made by Joseph, even neglecting entirely hundreds of items Joseph marked for removal from the Bible. In all likelihood, these failures are largely due to the complex and erratic nature of Joseph’s work on the text. While he declared that he finished his work in 1833, at no point did he finish up what one would call a final or even complete “draft” of his revision work. He had portions written out in numerous manuscripts by scribes, later revisions to those manuscripts done by himself and by scribes, edits he made into a copy of the Bible he purchased, and comments he made about the rendering of the text which are not found in any of the extant material from his revision efforts. He jumped around, revisited and reworked, edited his own edits again, leaving behind a very difficult array of notes and writings for anyone to navigate through, beyond anything we would have anticipated. However, there is an effort which has been underway for quite some time now to meticulously document everything Joseph did and did not do in his Bible revision work, so far as we have extant documents. This effort was also brought to us as it is now approaching completion, for which we are beyond grateful. What has become clear is that it would require more work to revise the present RE biblical text than it would to start where Joseph started and simply implement each of those edits he made, as they have been and are being so carefully laid out. Our belief is that within the mass of documentation Joseph left behind, there is a final “draft” from Joseph which can be reconstructed. Though he adjusted some things more than once, we have learned that we can largely track his work and determine what were his final versions of even the smallest items. Most of the text changes can be easily attributed to Joseph, and do appear to help the text. There are some few that appear to be scribal errors, and it will require prayerful and careful work to sort through which belong and which were mistakes. The goal is to be faithful to the revision work of Joseph on the Bible, but we simply did not realize how much we were still lacking in this until the Lord, in His mercy and wisdom, moved His hand once again to illuminate problems and provide solutions. When this new effort is completed, we should have every last known edit by Joseph implemented into the text of the Bible, as originally intended. With the team of volunteers we’ve pulled together for this, we hope to have the work completed sometime in July. Additionally, although we stated that the Book of Mormon was in the final review stage, that has also changed. We assumed that it would be safe to use the 1840 version without any critical review. But we discovered discrepancies that showed us we should look closer. We are using the most up to date research to verify every variation in the Book of Mormon and are seeing many changes that have been missed. Most are minor and do not appear to change meaning, but we want to be as faithful as possible to Joseph Smith's wording. This careful review will take until early July, at which time we will call on volunteers to read through each book again, looking for any gremlins or typos that might have been introduced. The result should be the absolute best version of Joseph Smith's effort ever printed. Thank you all so much for the many insightful emails pointing out typos and other formatting errors. Such emails have been greatly appreciated, and have helped tremendously with the cleanup work. However, with the complete reworking of all 3 volumes, these notices to us become obsolete as the text will no longer be the same. For that reason we ask that no more correction emails be sent in at present. Also a reminder, any emails that do get sent in should always go to restorationscriptures2017@gmail.com and never through the scriptures.info contact form. Thank you for all the efforts to make this project the best it can be. We also want to put out the offer again to everyone, if you are feeling inspired to help with the project and have time and ability on your hands, please feel free to contact us at restorationscriptures2017@gmail.com. We want to make sure that everyone knows that help is welcome. We’ve already had a number of volunteers who have been invaluable in helping move this work along, for which we are immensely grateful. Arrangements have been made to broadcast the upcoming Covenant Conference live. Saturday’s session will likely only be audio, but the Sunday session will be available live both in audio and video formats. Participation in the acceptance of the covenant will be the same for both those personally in attendance and those watching/listening live from anywhere in the world. More information on how that will take place will be shared as soon as we are informed. I have a capitalization question that has strayed into doctrinal waters. Reading RE 16, it struck me that “spirit of truth” and “word of truth” are name – titles for Deity, and ought to be capitalized. Verily I say unto you, He that is ordained of me and sent forth to preach the word of truth by the Comforter, in the spirit of truth, doth he preach it by the spirit of truth or some other way? And if by some other way, it be not of God. And again, he that receiveth the word of truth, doth he receive it by the spirit of truth or some other way? If it be some other way, it be not of God. Therefore, why is it that ye cannot understand and know that he that receiveth the word by the spirit of truth, receiveth it as it is preached by the spirit of truth? Testimony of St. John: page 25. As for you, when the Comforter comes (or in other words the Spirit of truth emanating from my Father), that spirit will testify of me. When using the term “Spirit of truth,” both documents capitalize “Spirit” but leave “truth” lowercase. But look at the “spirit” highlighted in red – it’s lower case. What’s going on? Since Re 16 is about discerning between spirits, good and bad, I would guess that the lower case, red-highlighted “spirit” refers to an emissary or agent of the Comforter/Spirit of truth, and that it is properly lower case. Further, I would guess that, following the pattern of “Spirit of truth,” “Word of truth” would also be correct (capital W). And also, that the singleton “word” (highlighted in green) should be capitalized – as a title for The Lord. Can any of you confirm or deny this approach? I feel like Matthew Broderick in Ladyhawke, “Lord, these are deep and mysterious matters, and I beg You not to get me involved." Spirit of Truth--a proper noun that, in my view, would be Christ assuming this as His formal name in the context of the scripture. I Am That I Am-- same as "I Am" and requires "That" to also be capitalized because it belongs internally to the name by which Christ is identifying Himself. BUT, in the context of an inspired rendering of a passage that is revealed and the punctuation and capitalization are deliberate, then I think it is what it is and remains unchanged by us. Not sure that happened at all with the Book of Mormon, and probably happened very little with the D&C. But it definitely happened in the Testimony of John and in some cases renders interesting meanings that require the capitalization to interpret the text. Using these definitions, it seems proper to leave the blue-highlighted terms lower case. They appear to be the light given when the elders preach the gospel. Verily I say unto you, He that is ordained of me and sent forth to preach the word of truth by the Comforter, in the spirit of truth, doth he preach it by the spirit of truth or some other way? And if by some other way, it be not of God. And again, he that receiveth the word of truth, doth he receive it by the spirit of truth or some other way? If it be some other way, it be not of God. But at the end of the process of accumulating light by listening to the word, the Word is received. So, it seems proper to capitalize the green-highlighted “Word,” as a title for the Lord; capitalize “Spirit,” since receiving the Word is an ordinance, and capitalize “Spirit” and “Truth” since this is the Lord acting in His office as Spirit of Truth. Therefore, why is it that ye cannot understand and know that he that receiveth the Word by the Spirit of truth, receiveth it as it is preached by the Spirit of Truth? It seems that what is going in this passage is not just a discussion about the preliminary stages of accumulating light, but a description of the process all the way to the End. And, that this process is restated a little differently in the next sentences. Wherefore, he that preacheth and he that receiveth understand one another, and both are edified and rejoice together. And that which doth not edify is not of God and is darkness. That which is of God is light, and he that receiveth light and continueth in God receiveth more light, and that light groweth brighter and brighter until the perfect day. This lesson begged the questions: Do we go through all of the scriptures and adjust the capitalization to fit the context? And what other phrases might likewise be affected? Our initial thought was to prepare to dig in and do as much as we could find. But then we realized that doing so would deprive everyone else of the opportunity to become more sensitive to this formatting and we also wanted to avoid any accusation that we were imposing our own interpretations on others. For these reasons, it was decided to only make the changes for this one phrase in the D&C as an example. The rest will be left to the readers to learn and adjust for themselves. Please see this link to access downloadable MP3s of every chapter and section of the Restoration Edition of the Scriptures. They are simple text-to-speech audio files, but we hope that they will be helpful to those trying to get a feel for these scriptures. They will be probably not be updated until we have finalized the content. We wanted to give everyone a minor breakdown of additional work done in revamping the Joseph Smith History, beyond what we had done and shared before. - As explained previously, we used the Times and Seasons from during Joseph’s tenure as head editor as our primary source, and then the Manuscript History of the Church thereafter, so far as he is known to have revised it. However, there was an additional portion in the Manuscript History, from within the pages Joseph revised, which was not published during the Times and Seasons publications. It was skipped over. We have restored that portion from the Manuscript History, inserting in its sequential place within the Times and Seasons material. - With the greater length of this version of Joseph Smith’s History, we have determined to chapter it, making it its own book in the Pearls of Great Price. The History is broken up by month and year timestamps already, mostly by the original scribes, but with a few additions and edits by the committee. These are natural breaks in the text, so they will be used as the basis for the chapters. - In comparing the text of the revelations which were found in both the JSH and the D&C, we’ve boiled down the revelations to be preserved in both places to three only: Sections 2, 9, and 101. The differences between the other sections don’t have much of anything to teach us. They will of course be kept on scriptures.info, but all the D&C sections Joseph included in revised form in his History will now only be found in that revised form within the History, and not in the D&C any longer, with the exception of the three named above. - There is a phrase which existed in the Manuscript History which was later altered, to conform it to standing scripture. It is when Nephi is speaking to Joseph in his room, quoting Malachi. The phrase originally read “...all that do wickedly shall burn as stubble, for they that cometh shall burn them, saith the Lord of hosts…” It was then edited to read, “...all that do wickedly shall burn as stubble, for the day that cometh shall burn them, saith the Lord of hosts…” to match Malachi. We have instead restored the original word “they”, as it is an important doctrinal point and “the day” can still be found in Malachi. One of the most difficult parts of this project has been determining what material belongs in the D&C, and what does not. We can relate to the difficulties of Mormon and Moroni, sifting through the records of their dispensation to determine what the Lord would have them include in the Book of Mormon and what must wait within the cave of remaining plates. It is an incredibly difficult process, and it is unfinished. But we’ve made some headway on some matters, and we want to share that with all of you. Again, we are not “deleting” any material, it will be preserved on scriptures.info where anyone can freely access it. But not everything warrants the same treatment, and some sections will not belong in the scriptures that are meant to guide us. - RE Sections 8, 161, and 167 are now being cut. Further research into the background of these sections has shown the sources they are drawn from to be too questionable to rely on. For the same reasons, at this point it appears unlikely that any form of Section 54 (LE 132) will be accepted, and we may have to petition the Lord for a new revelation. - Section 87 is being cut due to not being a revealed or inspired document, but the minutes from a meeting, where they designed the high council according to their hierarchy. While they may have been inspired in their work of organization at that time, that inspiration would not apply to us now, as we are not organizing in the same manner. - Sections 3-7, 10, 56, 57, 98-100, and 102-110 are being removed from the D&C, being kept instead only in their revised form in Joseph Smith’s History. - A handful of other items have been found by various people and are on the Submissions List for consideration to add into the D&C as sections. That cannot be determined or handled until after the body votes. - The Wentworth Letter may get moved into the D&C, now being a better fit there than in the Pearls of Great Price. We have a number of other letters in the D&C, and the D&C has become the primary place for revelations and content pertaining to Joseph’s time among the early saints. It may come as a surprise to most to learn that until Denver spoke in St. George, the scriptures committee had no idea the scriptures project was to result in a covenant being offered. We honestly did not know the end from the beginning of our labor. Our understanding has been rapidly changing since St. George and has been significantly aided by several individuals and fellowships who are also taking this effort seriously. In short, we now realize that our labor of repentance is an attempt to recover what was lost and restore the plain and precious truths that have been either missing or corrupted from the original covenant that the Lord offered the Latter-day Saints in Joseph’s day. This update will attempt to lay out the criteria for submissions that we would have clearly stated in the beginning, had we fully understood the purposes of the Lord, and more fully explain what the committee has done. First, we need to sincerely apologize. Both in the talks and in the submissions guidelines we have encouraged the inclusion of material that cannot be added to the new covenant, i.e. inspirational material & private revelations. We should not have encouraged this. We did not understand early on. As a committee we apologize for this misstep, as a lack of clarity has led some to believe we were filtering out submissions based upon a hidden agenda or due to a desire to control the content and subvert the process of common consent. The problem is on our shoulders. 1-The new submission prepares people to fulfill covenants with the Lord. 2-It restores truths taken away that are needful going forward. 3-It teaches men must come to Christ to be saved. 4-It establishes the truth of earlier testimonies. 5-The new submission is not an unnecessary duplication of existing scripture but a unique contribution, relevant and necessary. ● Design Criterion-Does the scripture emphasize a hierarchical or institutional structure rather than an equality among individuals? As Denver said, “I believe there is only one pattern that will bring Zion” and it is not the model of a hierarchy. Revelations in Joseph's day regarding offices and institutional concerns will not “prepare the way to fulfilling the Lord's covenants.” It meets criterion 1. ● Design Criterion-Does the scripture teach Terrestrial and Celestial principles, practices, and doctrines? Only when we “hearken altogether unto the precepts and commandments” of the Lord can we hope to avoid chastisement, (D&C 104:3) hence the need to "restore truths" in the scriptures and in our lives. It meets criterion 2. ● Design Criterion-Is the scripture revelatory or doctrinal in such a way that advances the reader’s knowledge of Jesus Christ and his desire to keep His commandments? This is another way of asking, "Does the scripture teach men that they must come to Christ to be saved?” It meets Nephi’s third and fifth criteria. ● Design Criterion-Is the scripture historical without revelatory or doctrinal content? If so then it meets none of Nephi’s criterion. It appears that others were moved by the same Spirit on that Sunday night to share their vision of how this scripture project should be approached (see here), or were inspired recently to share what should qualify as scripture (see here). While each of these examples have significant differences, we believe they represent the Lord’s hand moving among the body towards the common goal of discovering the Lord’s criteria of what material should be presented as our labor of repentance. The criteria will be applied to everything and will hopefully clean up the process and avoid any confusion this committee inadvertently invited. We encourage all submissions which hold up against Nephi’s standard, but those that do not follow these criteria have been removed. This is especially important for the Pearls of Great Price: while it is to be the expanding work where new revelation will be recorded, it should also be limited to what meets Nephi’s criterion. As a side note, a significant amount of discussion about formatting has taken place: what should go where, paragraph and verse numbers, headers in italics, etc. These things likely will not interfere with a covenant, and therefore will only be considered after we take care of the primary issue of recovering the content. Consideration will be given to those issues after the initial vote ending on July 4th establishes what the body considers as the correct content to submit to the Lord. Also, the “Research Version” has taken a back seat in the scriptures project since March. While it may be beneficial for study, we don’t plan to update it until sometime after September’s approval and vote. Our goal has always been to attempt to recover the scriptures into as near an “original state” as possible. With both the New Translation of the Bible and the Book of Mormon, our efforts have consisted of recovering what the Lord gave to Joseph. These efforts have been hampered by the errors and omissions of men caused by treating these works lightly. We have attempted to restore what the Lord gave us. We know that this effort is imperfect; in His mercy, the Lord has provided corrections in the past few weeks that could not have been uncovered other than by direct revelation. We anticipate there could be more, but that we will not qualify for those corrections unless our sole focus is on recovering what was in these records. The other books that came forth from Joseph are an even greater challenge. Joseph edited very little of the D&C other than the Lectures on Faith. Some sections are creations by individuals other than Joseph. Some have been expanded beyond what Joseph received from the Lord. Some were tinkered with just prior to the 1835 publication. The challenge faced by the committee has been to verify what the original revelations stated. Many of the revelations do not exist in an original document, but are copies of those originals. Some have been clarified by Joseph when he included them in his History in the Times and Seasons. The purpose of the D&C is not to serve as a historical document. Histories are for that purpose, and anything removed will be preserved online for all to study after this work is done; they will not be lost. The D&C allows us to retain all that the Lord gave through Joseph that pertains to the work of Zion. The attempt failed in Joseph’s day and many sections give us insight into why. But looking back is secondary. Looking forward is the primary direction of our attention. Therefore, we are currently researching every section, removing those of dubious origin and eliminating anything that does not meet the inclusion criteria mentioned above (higher criteria than simply coming from Joseph Smith). There are a few instances when this work has resulted in additions made to the record, and our intent and purpose with those should be explained. There has a lot of discussion among the body with regards to the Governing Principles. When first presented, we said: “Governing Principles is a rewritten statement of principles and practices - similar to LDS Section 20 - that reflects this assembly’s efforts to preserve the Restoration. This statement is not yet completed. It requires additional inspired input from you.” While they were presented as a proposed and unfinished set of principles useful for fellowships to govern themselves, we have been persuaded that a different approach is needed. Some have requested that Denver step in and solve the issue, but he has (thankfully) refused, as he is determined not to make the same mistakes that were made in the past (see the Moab Conference Talk, p. 17; Standing Aside - note the story of the preface of the D&C). Below we will explain the proposed process for how we can, together, come up with a set of correct principles that can be used to govern ourselves. We propose that each fellowship spend the month of May counselling about the necessary principles needed for governing our individual and collective fellowships. One purpose of this document is to assist new converts to get the basics right. These individuals will come from various ideologies and regions of the world, without a basis in the LDS tradition, and will therefore be greatly benefitted by a set of principles to assist them as they begin this journey. As a fellowship, please take time to get together and discuss questions or issues you have had, or have seen, as you began this process. A meeting will be held the first weekend in June to draft a set of principles. There are now three documents that have been put forth, each of which has important value and content, and we invite you to look to these as a pattern to follow in deciding how to proceed. Here are the links for Governing Principles, Guiding Principles and Alt Guiding Principles. Each fellowship should elect one member of their group to represent them at a meeting to compose a set of governing principles. To reduce the number of individuals involved, we ask that A) only those fellowships who feel inspired by the Lord to send a representative do so and B) if there are multiple fellowships in a city or area, that they combine to elect one individual. While many qualifications could be proposed (i.e. silver-haired, wise, photographic memory of the scriptures vs. meek, humble, prayerful, etc. ), the representative should have the fellowships’ confidence to make a decision and a heart willing to submit to the group’s decision rather than control the discussion or the outcome (2 Nephi 9:28-29). We fully believe that if we come to this task with the goal of having one heart, Heaven will guide us. After this initial meeting, a draft will be finalized and posted on the website where it can be modified by the vote of the body for the duration of the submissions process (until July 4th). We will post an update on details, including the time and location, mid-May, and ask that you send the name, phone number and email address of your representative to us by Friday, May 19th. For those fellowship representatives which are too far to travel, video conferencing is an option. “And if thou art led at any time by the Comforter to speak or teach or at all times by the way of commandment unto the church thou mayest do it, but thou shalt not write by way of commandment but by wisdom. And thou shalt not command him which is at thy head and at the head of the church, for I have given him the keys of the mysteries of the revelations which are sealed until I shall appoint unto him another in his stead. This instruction, given to Oliver, suggests that someone besides Joseph (or in our case Denver) can write in scripture “by way of” wisdom. As opposed to writing revelations by commandment, which is limited to him who has the “keys of the mysteries of the revelations,” we believe that it is possible to have something written in scripture by someone who had not been ordained a High Priest after the Holy Order. In the scriptures we can often see these two types of writings (commandment and wisdom) paired together: King Benjamin’s discourse includes his words with those of the angel, Paul’s letters are a mix of heavenly teachings with wise counsel, Alma’s words of exhortation include both commandment and how to treat each other, etc. In our case, we will not have had these principles handed down to us, but they will be principles that we have created together and can therefore edit as we grow in wisdom and learning. It is our belief that if the body can agree upon a set of principles that will allow us to govern ourselves that are written A) by wisdom and not commandment (RE 60), B) by common consent (RE 111), C) by inspiration (RE 73), and D) by assignment both from the Lord and His servant, then the principles can be included in our scriptures following God’s pattern. The process described above also follows the pattern set forth in the Constitution, where imperfect people were able to write an inspired document by which they could govern themselves in equality. One final message we want to share is that this assembly should not ever be driven by fear. Fear is a tool of the Adversary. If anything is presented to you that stirs up fear, challenge it. Likewise, solace should be found in the responsibility borne by the Committee. If we mess things up, we are responsible for that and the Lord cannot hold the assembly responsible. The Lord is capable of making the covenant happen. He wants this. Many on the other side (according to Denver) are eager for this to happen. The Lord can remove any knucklehead(s) that gets in the way or threatens the project. He will also support it. We have seen signs that heaven has compassion on the project and the Committee (Denver receiving corrections to the scriptures is one sign). Trust that the Lord will get His way. And it shall come to pass that if the gentiles shall hearken unto the Lamb of God in that day that he shall manifest himself unto them in word [the scripture project] and also in power [the covenant], in very deed [His presence in Zion], unto the taking away of their stumbling blocks, and harden not their hearts against the Lamb of God, they shall be numbered among the seed of thy father…Therefore wo be unto the gentiles if it so be that they harden their hearts against the Lamb of God. For the time cometh, saith the Lamb of God, that I will work a great and marvelous work [in part, this scripture project] among the children of men, a work which shall be everlasting, either on the one hand or on the other; either to the convincing of them unto peace and life eternal or unto the deliverance of them to the hardness of their hearts and the blindness of their minds unto their being brought down into captivity and also unto destruction, both temporally and spiritually, according to the captivity of the devil of which I have spoken. And if these properties are mine, then ye are stewards, otherwise ye are no stewards. But verily I say unto you, I have appointed unto you to be stewards over mine house, even stewards indeed, and for this purpose have I commanded you to organize yourselves, even to print my word, the fullness of my scriptures, the revelations which I have given unto you and which I shall hereafter from time to time give unto you, for the purpose of building up my church and Kingdom on the earth, and to prepare my people for the time of my coming which is nigh at hand. We’re finding that, when left to their imagination, there are many people who will fill the void with negative fantasies. Then they share their negative fantasies with others and it stirs them up to have the same fears. What many fear the committee may be doing is pushing an arbitrary effort to publish a "take it or leave it" version of whatever we think is best. What the committee is actually doing is a research project to find what has been lost or mishandled, and we have no leeway regarding what the Lord will accept. The Lord has something in mind which He will find acceptable as a basis for a covenant that we are required to produce through our labors, or He will not accept our efforts and give us the opportunity to covenant with Him as a people. He sets the requirements, we are simply seeking to meet them. The process of reviewing, critiquing and suggesting material for the scriptures isn’t being done with the aim of simply producing an awesome set of scriptures, though this appears to be the motivation of some submitted recommendations. The overarching aim is obtaining a final compilation the Lord will accept as His covenant. Everything about the project needs to point to that. The review process opens everyone to the responsibility of informing themselves of what will potentially be required of each of us when a covenant is offered by the Lord for acceptance. No one will be able to say, “I didn’t know” because not only is the material available, but there are many who are pointing out potential flaws in the preservation of the original text through the submissions process. This also means that all of us, including the committee members, must be prepared to accept or let go of ANYTHING. If the Lord approves this edition of the scriptures, we can obtain a covenant. None of us on the committee claim to know exactly what the Lord would like included; perhaps whole groups of sections in the Doctrine and Covenants are removed, or all of Continuing Revelation; we really can't say. We don't claim to speak for the Lord in this matter. The bottom line is this - it doesn’t matter what we think is the right collection of materials. What matters is what the Lord already has in His heart to authorize as His covenant, despite the numerous problems the gentiles have had in preserving the revelations for only 180 years. The Lord has already revealed several new changes for the Book of Mormon text (which are available in the transcript of Denver's St. George talk), which was something none of us foresaw. With that in mind, it would seem wise to change as little as possible - a minimalist approach. That is, we should look to add/remove only what He requires to make the scriptures “whole” to restore "that which has been lost" because of disobedience and unbelief, and worthy of His acceptance. There may be lots of great stuff that COULD be added, and there may be some things that He wouldn’t object to, but if the objective focuses upon the covenant He was offering to the gentiles, doesn’t it make the most sense to impose upon ourselves the minimal amount of requirements (found in the scriptures) to measure up to or be judged by? The longer the list, the more opportunities for us to fail. The other important observation to make is that at the appropriate conference, once the Lord has given His approval of “the scriptures” as it pertains to the covenant, acceptance or rejection will not affect what gets printed in the new edition. What will be printed is what He approves. Acceptance of the covenant, signified by the scriptures, will indicate an individual’s participation as part of a people, and the acceptance by that people of the covenant offered to them. Rejection or abstaining will not prevent the final proposed set of scriptures from being printed as approved by the Lord and then presented, but will instead voluntarily bar each rejecting/abstaining individual from becoming part of the Lord’s covenant people, at least until they repent and accept the new covenant. This isn’t about the scriptures; it’s about the covenant, which has been in the Lord’s heart all along. Mormon was given the responsibility of taking the records of his people, cleaning them up, making selections, writing abridgments and new revelations, ultimately preparing a record that reflected what his people had been granted by God to that point. He had to do it all under inspiration and direction, but putting in an incredible amount of his own effort. He had to work through things, laboring over what to include and what to exclude, evaluating what would be of the most worth to those who would receive the record. He was expected to provide a faithful, precious record, which would be sufficient to serve as a covenant. And he stated regarding what was included: And I cannot write the hundredth part of the things of my people. I think as a people we are now all in a parallel position of having numerous records to sort through, but unfortunately ours have not been kept in order. Many errors have crept in. Many transcription errors are now embedded in the records. We all need to struggle to recover the most accurate and inspired version of the scriptures. What is expected of us and what was expected of Mormon follow a similar pattern, but with a slightly different challenge. He labored alone with accurate records. We labor as a people with inaccurate and corrupted records. WE ALL need to labor to accomplish the work. The pattern of laboring to recover scripture reveals God's hand once again. If we obtain a covenant, then we have a legal right to the land. With that right we can build a temple AND not be swept off the land in the coming days. With the temple, we can offer an invitation to the Lord to return and restore that which was lost to the saints in Joseph's day so that we may be endowed with power to allow us to go out and bring in the lost sheep (RE 40, LE 105; 63, LE 38). Volume 3 has been completed as a series of mp3 audiobooks, with a separate mp3 for each chapter. Work began on Volume 1, but for the moment we’ve decided to try something else. The amount of time and work that would be required to convert Volumes 1 and 2, especially Volume 1, may be more trouble than it is worth in this preview stage of the scriptures. Especially since there are other ways to be able to listen to the scriptures we’ve put out. There are a number of applications which will allow you to take a PDF or an ebook and use a Text-to-Speech function to read the text to you. If everyone were to do this, then it would free us from having to put in all the effort of converting every chapter of scripture into an mp3 file, meaning we could better focus our efforts elsewhere. To aid everyone in this, we’ve compiled a short list of applications and methods for listening to the scriptures, across several different platforms. - Open the Settings App. ● - Select the General tab then Accessibility > Speech > toggle Speak Screen on. ● - From there you can also change voices, adjust the speaking speed, and enable highlighting, Speak Selection and Speak auto-corrections. ● - After the Speak Screen setting is enabled, activate Speak Screen by swiping down from the top of the screen with two fingers. ● - The onscreen menu allows you to pause and play, go back and forward and change the rate of speech. Tap the arrow to minimize and the x to exit. - import a version of the Volume you want to read. - Navigate to the page where you want to start. If everyone were to use these approaches for listening to the scriptures, at least until high-quality recordings by a reader are done after the text is finalized, then it would save us a lot of work that would eventually become entirely obsolete anyway. However, if there is anyone who is entirely unable to use any of these methods, but would benefit from mp3 versions of the scriptures, then please contact us at restorationscriptures2017@gmail.com and the effort can be made to create the required mp3 files. Punctuation and proofreading are ongoing. The Old and New Testament are still in the first phase of having the punctuation stripped down. Once punctuation has been reduced to a bare-bones level in all books, we will go in and reintroduce key punctuation which adds essential clarity throughout the scriptures. The guiding principle is “less is more,” but too little punctuation may create other issues. A fine line must be walked. There are certain organizational and formatting concerns which have been brought up to the scripture group, and some of these have been submitted for the consideration of the entire body of interested persons. Some have been already addressed, some are currently being addressed, and the Submissions List items will be addressed as we engage the final voting after the July deadline. Look for the responses we’ve already given in the material we’ve published, such as the Announcement, the Q&A, the reasoning in the Submissions List, etc. A final proofreading stage will begin sometime in or after July, in preparation for September, once the texts have been finalized. Electronic versions should be published prior to the conference in September, but we will not publish final print versions prior to the conference, because content related to the conference event itself must first become part of the text. We have also considered periodically updating the version sold on Amazon, to reflect the corrections as we go. Newer editions should have some identifying date or mark to make clear which version a person has, but remember, these are all still preview versions. Meanwhile, corrections will be made regularly to the text as it appears on scriptures.info, so that will be the most reliable source for the most current version of the project at any time. Text-To-Speech audiobooks are being prepared, which will eventually be replaced by properly recorded readings, once the text is all finalized. Some TTS audiobooks are already completed. We also hope to create a mobile app for phones and tablets, somewhat similar to the LDS Gospel Library. Work on this has not yet begun, but is anticipated. As a recent and entirely unanticipated part of this process, the Lord Himself has seen fit to require a few corrections to texts, including the Book of Mormon. These are changes that are not found in any source documents, we have no historical or documentary justification for these. We can only say they came by direct revelation from the Lord. Every last one of these which we have received, and may yet receive, will be fully disclosed as soon as possible, that everyone might be aware of them and approach the Lord about them. The first ones have been included in Denver’s paper “Things to Keep You Awake at Night,” now available at his site. Between the Old and New Testaments, there are about 18 books currently getting their first treatment of punctuation removal. Necessary contextual punctuating will follow. As was announced, we’ve used the Inspired Version as a baseline text, and then incorporated every other known correction Joseph noted which did not make it into the Inspired Version. We believe the text has been generally corrected, except for perhaps typos. There is currently a group of volunteers hunting for these, and we will do a final proofreading pass once all the texts are settled. There are submissions concerning placement of items in the Old Testament, which will be addressed, voted upon and finalized in time. The Research version is currently being prepared for scriptures.info, as well as other editions of the Bible, such as the KJV and Joseph Smith’s draft Revisions for the Inspired Version. The Book of Mormon is currently being reviewed again. The 1840 edition has been used as the baseline text, as it is the last version Joseph had a hand in correcting and we recognize the authority he was given over that book. However, there were errors introduced into the Book of Mormon from the beginning, with poor copy work done by Oliver Cowdery and perhaps others, as he transcribed the printer’s manuscript from which the Book of Mormon was published. There were other errors made at Grandin’s Print Shop as the book was typeset. Joseph did two revisions of the Book of Mormon: one in 1837, and the other in 1840. The 1837 revision was largely about correcting errors introduced in the process of going from printer’s manuscript to publication. The 1840 edition handled more of these same kinds of errors, but also sought to correct some of the errors introduced in transcribing the printer’s manuscript, and perhaps added some clarifications, which will be honored if they are from Joseph. But even with that effort by Joseph, it appears that a few small things may have still slipped Joseph’s eye during revision, simply as a matter of the human weakness from which we all suffer. So efforts are now being made to compare the 1840 edition with the 28% of the original manuscript that is known to remain. All changes from the original manuscript to the 1840 edition which were made by Joseph will be honored. Grammatical changes made to the 1840 edition which do not alter the sense of what is spoken in any way will remain. But if there appear to be any meaningful changes away from the original manuscript introduced by someone other than Joseph, and a solid case can be made that it appears Joseph simply missed fixing those alterations in his 1840 revision, then the intent is to prayerfully consider returning those words in our 1840 base text back to what is found in the original manuscript. We do not anticipate the need for many such changes, but we know at of at least a couple now. These will be noted and shared. The first such change we’ve discovered is a single word in 1 Nephi, which appears to have lost a letter in the creation of the printer’s manuscript, which letter was never recovered. Royal Skousen explains: "...1 Nephi 12:18: “and a great and a terrible gulf divideth them / yea even the sword of the justice of the Eternal God”. This is the way the original manuscript reads, but Oliver Cowdery miscopied this as “yea even the word of the justice of the Eternal God”. In other words, he replaced sword with word. And that’s the reading that’s been retained in the text ever since. Yet when we look at the rest of the Book of Mormon, we discover that there are seven references to “the sword of God’s justice”, but there are no examples of “the word of God’s justice”. In particular, note the example in Ether 8:23 (“the sword of the justice of the Eternal God”). It’s identical to the original reading in 1 Nephi 12:18." Other than those few items which may be found in this comparison, we believe the remainder of the 1840 text to be generally faithful and correct as it stands, except perhaps typos which will be corrected in proofreading. We are also readdressing the chaptering. Work was taken up to match the chaptering to the 1840 edition (as well as the 1837 and 1830), but was not completed. The final version of the Book of Mormon will match the chaptering as done by Joseph. The Research Version is already available for download on scriptures.info. It contains additional information concerning historical text adjustments and variations. As noted in the Announcement, the Doctrine and Covenants is built from the earliest extant transcripts of the revelations contained therein. This is the way that both of the initially separate groups were first inspired to approach the book. The question has come up as to why we did not use the 1835 edition, why we did use the 1835 edition (which we didn’t, as announced), and why we didn’t simply adopt the 1833 Book of Commandments and expand from there. These were important questions, some very well thought out and presented with important and interesting information which needed to be fully weighed and considered. Answers to why we used the earliest extant transcripts can be found in the Q&A. The text of those revelations which have been included is generally complete and an accurate reflection of the earliest transcripts, allowing only for those revisions which were made by Joseph directly, or by the scribe responsible for that particular revelation, assumedly with Joseph overseeing the adjustments. There may be some typos, or apparently missing words which might still need addressing. Some problems will be fixed by repunctuation, some are transcription and copy errors by scribes and may require insertion of a word or phrase, which would then be drawn from the earliest available source to fill the gap, and with that addition being inserted in [square brackets] to make clear that it was not part of our source transcript. There are sections of the Doctrine and Covenants which have been brought up as concerns, and some have been submitted for deletion. These sections are being investigated, discussed, prayed about, and addressed as fully as possible. We are also reviewing all of the revelations, to make sure their sources are properly reliable, and that the revelations belong as part of the work the Lord is asking of us. Simply being the earliest manuscript doesn’t necessarily mean it is a trustworthy one, and there would be damage done by using an early, but unreliable record as scripture. If there is sufficient reason to doubt the veracity of a revelation, it may be pulled. If a revelation was pertinent to its original recipient, but has no value to us today, and the Lord verifies that it is unnecessary to include as scripture, then we will have to do as Mormon did and select out of the cave of plates which should be bound together as our scriptural record, while the remainder are preserved “in the cave” (on scriptures.info). The first text-to-speech audiobooks for the Doctrine and Covenants have been completed, and are available on scriptures.info for download (or will be shortly). The first Research Version of the D&C is available for download on scriptures.info. It may be further corrected in time, as needed, but it is a start. Additional Research Versions are also being prepared, for example a chronologically presented version. Additional materials related to the D&C are also being prepared for scriptures.info, including the 1833 Book of Commandments and the 1835 D&C. Section 54/132 in particular is being given some serious new attention. It is a hot point of concern for many, and we are making further efforts to investigate and address the matter. Details of things as they are sorted out will be shared. The text of the items already present in the Pearls is mostly sound, but there are a few adjustments under consideration. There are a few words in the Book of Abraham which appear to have been altered down the line by an unknown hand, and we are making every effort to prayerfully and correctly determine which word changes should be honored and which should be returned to their original. There are a couple other instances where a minor word change has been suggested to Denver in his written revelations and visions for the sake of clarity, which changes he is considering. The Governing Principles are still not complete, as should be expected, being a document which must be completed by the prayerful efforts of the body. Some have sent in submissions for things to add, remove, or change within the Governing Principles. We will see how things go with the body of believers as time comes to finalize the text, once all submissions are in and sufficient discussion and prayer has guided everyone in their voting and approval. Additional revelations given to Denver which have been publicly shared are now on the Submission List, for consideration to add to the body of scripture. Other revelations and testimonies from other individuals have also been submitted, which will be voted upon by the body and prayerfully considered for addition to the scriptures. The first text-to-speech audiobooks for the Pearls of Great Price have been completed, and are available on scriptures.info for download (or will be shortly). Research Version material is being prepared, and will be published to scriptures.info once it is complete. The Joseph Smith History was given a bit of an overhaul. The version printed in the Restoration Edition had some problems. It was cut off before it should have been, the text of the revelations Joseph published didn’t match the text as published in the Times and Seasons (while he was Editor), and some reworking needed to be done with timeline elements, punctuation, paragraphs, and incorrectly written names. These have all been addressed. We also changed course on the length of the JSH to publish, no longer intending to cover all the material as published in the Times and Seasons. We have used the Times and Seasons material so far as Joseph was the Editor of that publication, as he claimed full responsibility for the text as found there. But once he stepped down in late 1842, we switched and used the Manuscript History of the Church, Volume A-1, as our source. Joseph personally edited the first 42 pages of that volume, so we have taken up his History as found in those pages, but no further. Joseph died before revising the rest. Also, the text of the revelations in the Joseph Smith History, as published in the Times & Seasons and Manuscript History of the Church, Volume A-1, does not perfectly match the text of the revelations as they are found elsewhere in scripture. We have left both versions with their differences, as these differences may actually serve to give greater insight and understanding. Furthermore, there is a revelation in the Joseph Smith History which has the appearance of being out of place, being dated as a May 1829 revelation, but published amidst 1828 material. This is how Joseph published it, and we’ve honored his decision. The dating of the revelation is contested, and there are theories that the revelation was either a two-part revelation, with the second part being the source of the May 1829 date, or that May 1829 was the date when the revelation was written down, but it had been first received at an unknown and earlier date in the summer of 1828. We don’t have answers to these things, but we’ve honored Joseph’s dating of the revelation, as well as his positioning of the revelation in his History. All the downloadable docs on scriptures.info, such as the Q&A and Submissions List, will be dated according to their periodic updates. That way you can all know whether you have read the most recent version. With the voting process, implementing two votes—one now and then a new one later—serves a few purposes. As people send in votes now, seeing the topics that receive more votes informs us of what issues people are tending to care more about. This lets us know what we should focus on addressing and resolving, as we approach September. But as people send us votes now, they are also sending in their reasoning behind their votes, which reasoning is then added alongside the votes in the Submissions List. This provides information for everyone to consider, so that when the slate is wiped clean and a new vote is taken sometime after July, all the reasoning will be available to inform everyone’s choice. Some may change their vote based on new information they hadn’t considered, which is provided by those sending in their thoughtful votes now. This is a useful process for everyone. Please remember to use restorationscriptures2017@gmail.com to contact us for all things concerning the scripture project. The contact form on scriptures.info is specifically for contacting the site administrator, rather than the scripture group. The provided email address is what we all read and respond to as a group, so please contact us there. As noted earlier, proofreading and punctuation have a lot of work yet to be accomplished. Feel free to contact us about errors as you find them, we are not opposed to having many eyes catching these things. But don’t get too worried or anxious about finding such errors, as they are definitely still present. What was presented in St. George was a work-in-progress, inviting the body to get involved in an ongoing work once the ball had begun rolling. Proofreading for a final version is further down the line. There are a number of emails we have been sent which would have proven entirely unnecessary if those materials had been investigated first. This project is literally being done in our spare time, and time spent answering emails which weren’t really necessary does eat away at time that could be spent on the project itself. Also, please don’t contact us with questions that are only doctrinal in nature, rather than pertaining specifically to the project. While we certainly enjoy discussing teachings and doctrine and everything pertaining to the gospel, we are strapped for time at present and must keep our focus on the work of the project. If you have doctrinal questions, take up the scriptures, approach the Lord in prayer, discuss them with your fellow believers, but please don’t use the email address for those matters. As we approach September, we want to make sure those who are interested and taking these things seriously are given as much information as we can provide, in preparation for the establishment of a covenant. None of us created this problem, but we have inherited it and need to accept that burden. We are convinced that we must do our best to recover the original offered covenant, and it is an act of repentance for us to labor to recover and restore the original to the best of man’s ability. Then, after the repentance and return, we will ask Him for His approval at that time. In preparation for that step, we’ve asked the body for their input. That is what the voting on Submissions List items is really about. We all need to prayerfully seek the Lord’s will concerning what should and should not be found in the scriptures, and reason with one another in persuasion to come to a unity of approval for what is published, insofar as that is possible. In this process, there is the question of how many voices must be unified in favor of a change for that change to take effect. This is an ongoing matter of discussion. While every effort should be made in persuasion to resolve all disagreements, some individuals will not be persuaded on some things. We must each come to a determination for ourselves what we will and will not accept if we disagree with the voice of the body. We ought to accept losses on any of the votes with patience, tolerance and understanding. If we are of one heart first, we can resolve issues of becoming one mind with time. July will bring the end to submissions, final arguments and votes will be done, and the text will be finalized and brought to the Lord for approval, all prior to the September conference. Future changes will have to be approved by Him, not the assembly. But that’s a different process for a future time. When the time for casting final votes comes in, please study each matter out, and carefully read the reasoning presented in the Submissions List and Q&A prior to voting. Consider all the information put forth, be prayerful, consider your own biases, what you are willing to accept if it doesn’t go your way, etc. Make every vote a thoughtful, serious matter. But keep the primary goal in mind - qualifying our body of scripture for a covenant. We should be willing to add or let go of anything in pursuit of that goal, knowing that only God truly understands what is essential and what is not. If/when the Lord approves the work required for the covenant, then the vote in the September conference will be to see who, if anyone, will be willing to accept the offered covenant. To refuse the offer, all one need do at the conference is to refuse to say “yes” and that individual will remain as they were before the vote. We do not anticipate that anyone, including all those who are working on this project, will have any right to make further changes if the Lord has approved something, and therefore we do not anticipate making changes to the text after September. That is what the present labor is to accomplish. The only addition currently anticipated after the September conference is a record of the conference and covenant, of the acceptance by a body of believers, of any response by the Lord, and all related proceedings, which record must be written and should be included in the scriptures. Once that text has been written and proofread, we will then look at printing the finalized scriptures, hopefully before the year’s end. Then perhaps this group can get back to our regular life matters and enjoy a sigh of collective relief.